Regular TV viewers of poker in the UK over the years cannot fail to have noticed some recurring themes. One of these is the monotonous regularity with which top UK professional, Tony "The Lizard" Bloom, makes final table appearances in the tournaments that matter. In 2000, he came agonizingly close to scooping the first £1,000,000 at the now-infamous Isle of Man inaugural Poker Million, only to be narrowly squeezed out by the swashbuckling John Duthie. On that occasion, Bloom had to be satisfied with a £25,000 pay cheque for his 4th placed finish. However, this was a mere stepping stone in the long and successful poker career of The Lizard. Bloom has cashed in poker tournaments going back many years, and well before the current poker craze. However, it is the new money that is making for big prizes and Tony Bloom lost no time in taking advantage when, in January 2004, he took the trophy and top prize of A$426,500 at the Main Event of the Crown Australasian Poker Championship in Melbourne. He had already served warning to his final table challengers by taking 6th place in the A$5,000 buy-in No Limit Hold'em Heads Up tournament four days earlier. Bloom carried that form into the WPT $5,000 No Limit Hold'em Championship in Reno, USA, two months later taking 5th place and a $73,000 cheque. That was closely followed by three cash finishes at the World Series of Poker 2004. The tournaments were in Pot Limit Omaha, Pot Limit Hold'em and No Limit Hold'em, amply demonstrating Bloom's poker versatility. Clearly buoyed by his 2004 visit to Australia, The Lizard made three more final table finishes at the corresponding Crown Australia Poker Championship in 2005. This included a 1st place in an Omaha Hi/Lo tournament and runner-up in the No Limit Hold'em Heads Up competition, the same one in which he had placed 6th in 2004. 2005 finished with a brace of very successful outcomes. First, in August, Tony Bloom swept away all before him in the £5,000 VC Poker Cup, taking the £200,000 first prize. Then, in November - in an event broadcast in the USA at Christmas and sure to appear in the UK very soon - Bloom took a creditable 4th place prize of $150,000 in one of the toughest fields ever assembled, the Tournament of Champions. This event featured top finishers in the newly formed WSOP Circuit in the USA plus the top three all-time WSOP bracelet winners. Thus, even at the start including over 100 challengers, you stood a good chance of having a top-ranked player at your table. These included Daniel Negreanu, Phil Ivey, Jennifer Harman, Chris Ferguson, Allen Cunningham and Howard Lederer plus the leading bracelet winners of all time, Phil Hellmuth, Johnny Chan and Doyle Brunson! The final thirteen included all three of the top bracelet winners in addition to WSOP 2005 runner-up, Steve Dannenmann, and 9th placed finisher at that same table, Mike "The Mouth" Matusow. Bloom saw off all but three of them. 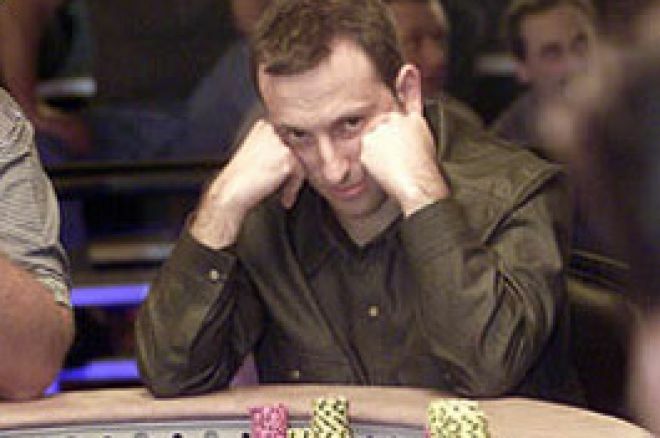 Tony Bloom has shown that he can spar with the best of anything the world of poker can throw at him. Could 2006 be the Year of The Lizard? You wouldn't bet against him.